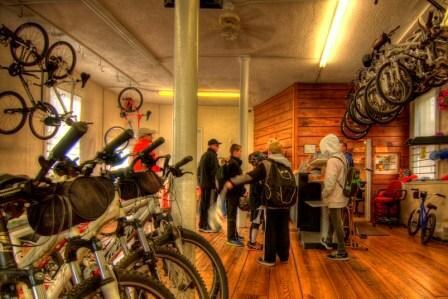 Virginia Creeper Trail Bike Shop is a full-service, family owned and operated bicycle shop & shuttle service for the Virginia Creeper Trail. Located just two blocks from the trail head, on Pecan Street. We have a friendly and knowledgeable sales staff that can answer your questions and help you choose the bike that is right for you. We build lasting relationships with our customers by providing superior service and the highest quality products.